APX is proud to support Kiwi entrepreneurship as the travel sponsor of the New Zealand EY Entrepreneur of the Year (EOY) programme, in partnership with Qantas. The EOY World Awards took place earlier this month in Monte Carlo, and Kiwi entrepreneur Dan Radcliffe of International Volunteer HQ flew business class, care of APX and Qantas, to represent New Zealand. It was four days of glitz and glamour, media coverage, world class speakers and huge networking opportunities for Dan. While Mohed Altrad of France took home the World EY Entrepreneur of the Year title, we couldn't be prouder of Dan and more pleased to have supported this opportunity. APX is delighted to welcome Steve Mutton on board as our incoming Chief Financial Officer. Steve joins APX from our parent company Stella Travel Services New Zealand, where he was Commercial Manager. Here, Steve talks to us about his background and his passion for travel. Steve, what did your role at Stella Travel Services involve? In a nutshell, my role as Commercial Manager within the Finance Team at Stella Travel Services included responsibility for the production and analysis of financial reports for the Stella Group. I had a fantastic team supporting me, which was key given the high transactional volumes Stella handles. In your opinion, what are the most interesting trends in business travel right now? I would have to say the adoption of ever-changing and improving technology platforms to streamline the travel process. The ability for businesses to now have full visibility over the travel procurement process, the ability for customised reporting, using technology to manage duty of care for business travellers – it is all quite exciting and APX clients are in a great position to ride that wave. What is your favourite travel destination for business and why? I was fortunate to travel to Paris on business a few years back. I thought Paris was great as a tourist, but it was just as exciting as a business traveller. They sometimes get a bad rap, but I found the French people fantastic and very hospitable. Last year APX was awarded the accolade of Best Brand Corporate (Multi Location) at the TAANZ National Travel Industry Awards. These awards are held to recognise and celebrate the achievements of those who have excelled in the travel industry. We’re pleased to share that APX will be defending this title for 2015, having again made the shortlist of finalists for this category. Equally exciting is that two of our team members have also been shortlisted for categories - Jackie Bell is up for Best Travel Agency Manager Corporate and Amelia Glubb is in the running for Best Travel Consultant Corporate. The winners will be announced at the Awards night in August. Wish us luck! Singapore celebrates 50 years of independence on Sunday 9 August. Main roads in Singapore will be closed for the street parades, and Monday 10 August will be a public holiday with many businesses closed. As always for travel bookings or advice contact our Travel Team on 0800 TRAVEL (872 835). Did you know that you can book personal travel through APX? Our Leisure Travel team can book anything from family flights to Queenstown to a multi-destination international trip on your behalf. If you're interested in a cruise holiday but are not sure which is best for you, an online tool by APX supplier Cruise Holidays may be useful - sit back and browse cruises around the world at your leisure. Jetstar has announced plans to expand its domestic coverage in New Zealand, by introducing at least four new regional routes from December. Those cities being considered include Hamilton, Rotorua, New Plymouth, Napier and Palmerston North in the North Island and Nelson and Invercargill in the South Island. To achieve this, they will use a fleet of five 50-seat Bombardier Q300 turbo-prop aircraft. Jetstar is owned by Qantas whose chief executive Alan Joyce said the time was right to bring Jetstar's fares to the regions. 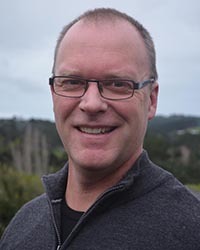 "When Jetstar brought low fares to New Zealand's key routes six years ago it completely transformed the market in terms of value and now we'll do the same for regional New Zealand," he said. Qantas and American Airlines recently announced an expansion of their partnership, in which the US carrier will commence flying from Los Angeles to Sydney and Qantas will resume its flights to San Francisco. San Francisco is a popular destination for business travellers. From 20 December this year, Qantas flights to San Francisco will begin on peak days and increase to six days per week in January. American Airlines will begin a daily direct Sydney to Los Angeles service from 19 December 2015. This will replace a select number of Qantas flights from Australian cities to LA, although a number of flights will remain, meaning overall more trans-Pacific services. Air New Zealand was recently awarded three accolades for its Premium Economy service at the Skytrax World Airline Awards. Now, the airline plans to extend its Premium Economy offering to trans-Tasman flights. Already available between Perth and Auckland, Premium Economy will be available to Sydney, Melbourne and Brisbane from 25 October 2015 on Air New Zealand's Boeing 777s and Boing 787s. While these aircraft are not new to the trans-Tasman routes, Air New Zealand was previously unable to offer Premium Economy as a trans-Tasman option due to its mix of planes covering these routes. The Health and Safety Reform Bill is currently under review and is likely to come into effect by the end of the year. International SOS, a worldwide medical and travel assistance company, has commissioned a briefing paper by Minster Ellison Rudd Watts that outlines what the changes will mean for companies. While the focus is on workplace safety in New Zealand, companies with expatriate staff living overseas and frequent business travellers need to consider how these laws may be applied to incidents that occur beyond our borders. In 2016, Canada will introduce a new entry requirement known as an Electronic Travel Authorisation (eTA) for certain international travellers arriving by air, which will include New Zealanders and Australians. Starting on 1 August 2015 travellers will be able to apply for an eTA online. As of 15 March 2016 travellers will need an eTA before they board a flight to Canada. The eTA program is similar to the digital travel verification program implemented in the US and Australia. eTA enables Canada to screen travellers before they arrive. The authorisation is electronically linked to your passport and is valid for five years or until your passport expires, whichever comes first. The eTA application will be available online, through the CIC website. Before entering Canada, the applicant will be required to submit his or her biographic, passport and background information, in addition to a processing fee of $7 CAD. Earlier this month Wellington's iconic Museum Hotel, located across the road from Te Papa National Museum, was sold by hotelier Chris Parkin to ASX-listed Amalgamated Holdings which own Rydges Hotels and Event Cinemas. Amalgamated will refurbish the 163-room hotel and rebrand it as QT – which is their new designer brand. The hotel's reputation for design is set to continue, according to Parkin "This sale to QT Hotels leaves me deeply satisfied. Ironically, much of the inspiration for our recent renovation program came from the Sydney QT Hotel, a design triumph."